I am a huge fan of personalized items and my home is full of personalized stuff . It adds more beauty to my home as all these items remind me of the beautiful time and memories spent with my loved ones. Moreover, I love it when I get compliments about the beautiful customized stuff at my home. Recently, I created a memorable collage of polaroid style photos printed from Photojaanic . The collage has added a charming beauty to my wall. Why I love personalized items? I feel that personalized stuff makes for the best gifts or decor items and makes the celebration or your living spaces unique. It is with you forever. Every time when I look at the personalized items at my home, I always remember the memories and it brings a pleasant smile on my face. In addition to it, I love to keep myself surrounded with positive things and one such positive stuff is this beautiful photo collage. Photos take me down the memory lane. These are some golden periods of my life and this helps me recollect those moments. 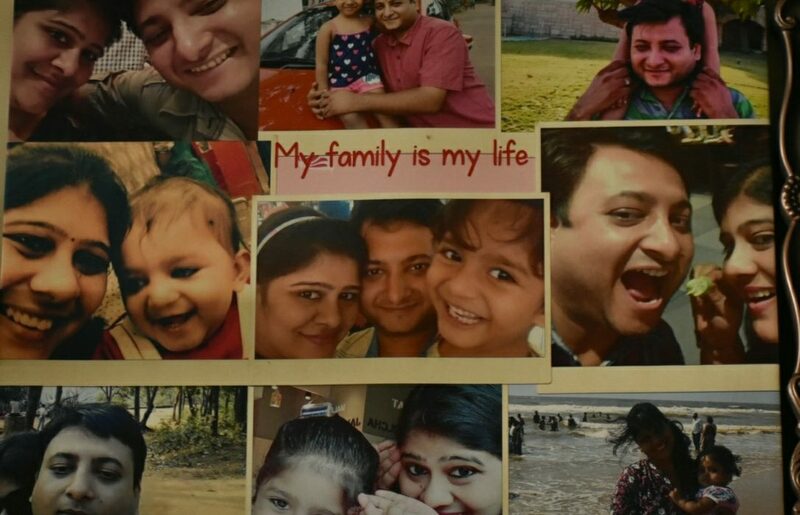 Photojaanic is an online photo printing website which allows you to print customised photo products that you can cherish forever. It is not always easy to maintain the family holiday pics or your child’s beautiful moments in softcopy format. But, a personalized photo will help you to recollect those moments. Photojaanic is a place which allows you to customize your photos in a simple, quick and fun way. The pictures can be framed, kept on a side table you can even add get a hard cover photo book all automated. These pictures are very special to me as I celebrated my daughter’s first birthday at a beach. She is a huge fan of beaches. I would say, my daughter’s first birthday was one of the most beautiful moments for me and I wanted to preserve it. 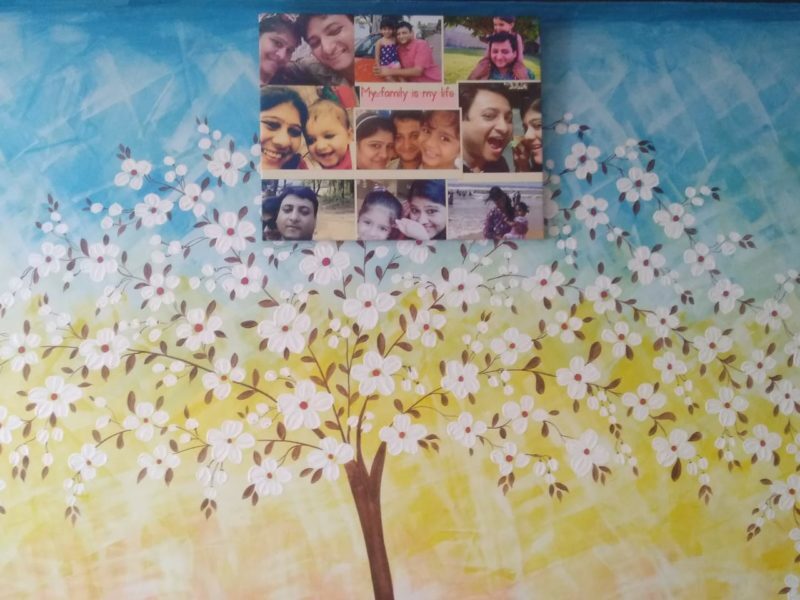 I wanted to cherish these beautiful memories with my daughter and thought of getting a photo collage made for my daughter’s bedroom wall. First off, I loved the concept behind the word Photojaanic. The name sort of, translates to preserving the memories of dear ones. In this digital age, almost all the photographs are on pen drives and hard discs. But, no more worries. Now you can get all your pictures printed and out from all those digital devices and without any hassle with the help of excellent Photojaanic team. I received an excellent quality photo frame which was gracefully placed on my wall. The edges are nicely sealed and pictures are customized as per my choice. The print quality is brilliant. I have tried several online photo printing sites but I’ve found Photojaanic as an extremely cost-effective option and the best part was the excellent quality of the product for the price I paid. From the moment I showed interest in their photo frames until delivery, the Photojaanic team was quick with its responses via chat and email. They clearly understood my expectation and requirements. The delivery was on time and the product was neatly packed so that it does not get damaged during transportation. Wow this is so cool. And i also like phoyojanni. I always like customised photo products. Photojaanice looks perfect for customised photo products.i will try it soon. I love the personalized wall as it keeps me connected to my loved ones all the time. Really a good idea to cherish our favourite moments.. I hope to gift her my hubby?? Very good article. I have been reading all your posts and I appreciate you for taking time and writing such good posts. Your way of writing and expressing is what I like the most. Its so beautiful. I loved it..
Amazing pictures, well portraits and memories preserved forever good job…..
Really this makes our home look more beautiful. Personalized items add that nice warm touch to home decor. I like the idea of decorating the home with colourful personalized pictures. Photojaanic sounds really promising in this connection. This is fantastic! I have so many photos on my phone and laptop and I feel too lazy to have them printed myself. I was always on the lookout for someone who can take the responsibility of doing it and do a good job too! It indeed looks like an amazing way to preserve a few of the best moments captured. and one of the best things to gift, without any doubt, thank you for sharing. Lovely, I have availed their service in the form of photobook and absolutely loved it. Be it quality or delivery, both are awesome from Photojaanic. I love the concept of online printing but found it very expensive and even the pictures came out much darker than i wanted them to be. Photojaanic seems to be a good alternative. wow, these are so beautiful pics and it is a great way to keep memories forever. I love such customized photo frames. Yours is so beautiful. All good memories and smile! Will check out this brand. There are many online photo printing services but delivery time of them is really annoying. I have tried photojaanic once and it was a great experience. 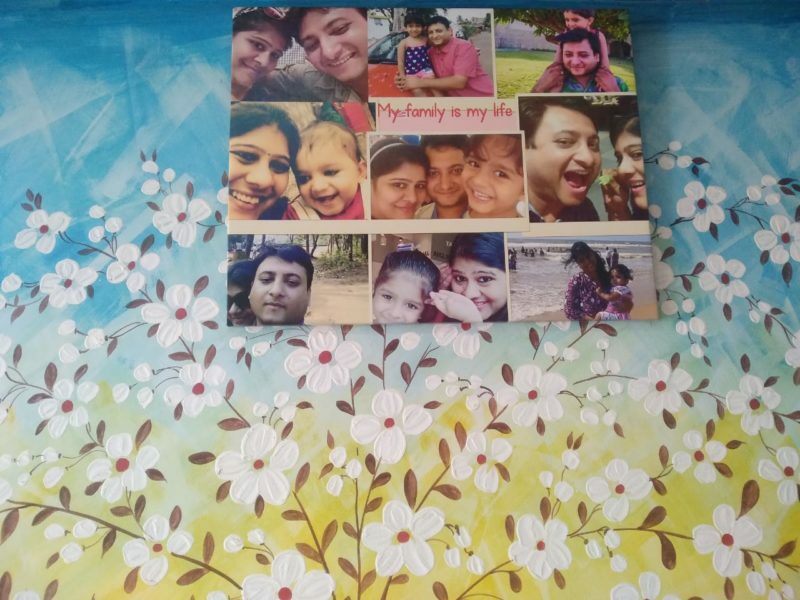 I love personalised gifts and wat better way than Photojaanic to have it done.Surely gonna try it for upcoming occasions.Thanks for sharing the lovely post. Amazing ideas to gift my hubby on his birthday. I even have many photo custom products which I love decorating my house. Thank for sharing these beautiful ideas. I too will try it. Photojaanic looks like a great website. I need photos for lifetime memories. Seems this website solves the purpose. Your picture frame is adding charm to the wall. Based on your happy experience even I am tempted to try out this portal Photojaanic. I Iove the simplicity with Photojaanic and the add ons we can put to create a beautiful image as a memoir. This is indeed a good way of storing memories and your post has covered most of it for anyone to understand. Thank you.